Is it still satire if it rules? Moods must be too high around the office, because a couple members of the Co-Opticrew are dipping into the the latest and greatest in Futuristic Misery Simulators. Part of me hopes that they'll return with tales of honor and glory, but realistically, I know their stories will mostly revolve around dying messily on a forgotten planet for the glory of the Emperor. We should all be so lucky. Elsewhere, our weekend plans involve classic MMOs, not-so classic JRPGs, and perverse, twisted takes on classic fantasy novels. Check it out! Nick Puleo (@NickPuleo) - "Fortnite of course. Earthfall. And checking out Warhammer 40K: Gladius something or other." Jason Love (@JLove55) - "'One more turn'-ing it in Warhammer 40,000: Gladius - Relics of War (geez, Nick! 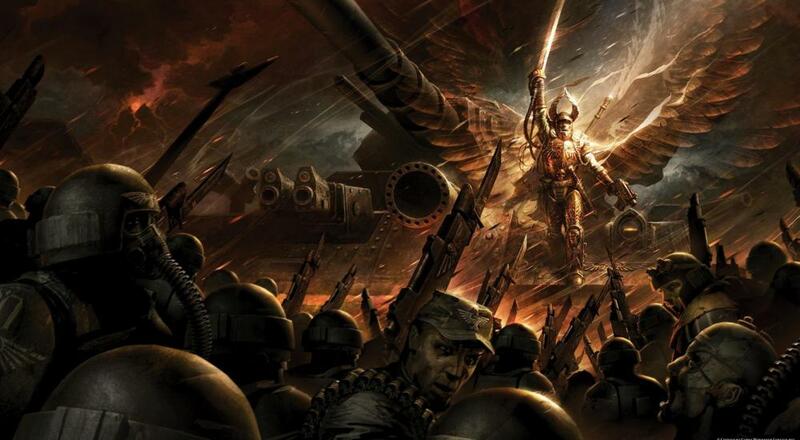 There are only 30 Warhammer 40k games, not that hard to remember the titles!) and might be dipping my toes back into World of Warcraft for a bit to see if any of my old toons still exist and, if not, create a panda because Warcraft has always been about pandas." Eric Murphy (@smurph_em) - "We're going to pick up where we left off in Dying Light tonight, and you can watch all of our nonsense on our Twitch channel." Marc Allie (@DjinniMan) - "It’s all Octopath Traveler, all the time for me. My game of the year so far." Locke Vincent (@LockeVincent) - "I'm back from vacation and I haven't touched a game in a while. Before the game paralysis sets in I think I'll ease back into some light gaming with the new Enter the Gungeon DLC and see where that takes me." Tally Callahan - "More Smite and probably starting up Shadow of War." Enoch Starnes (@enochstarnes) - "World of Warcraft isn't sounding too bad right about now." Matthew Squaire (@mattaghetti) - "Unfortunately no time this weekend for games due to lots of travel so I need you all to take a shot for me, whether it's in Call of Duty or Rocket League." How about you, dearest reader? Any good plans this weekend? Let us know in the comments. Page created in 0.6504 seconds.